Gifted this set of phone to my brother who runs shops in my native place. He is really happy with the product! 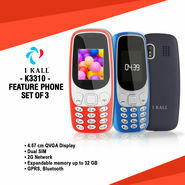 Set of three phones at an affordable price.